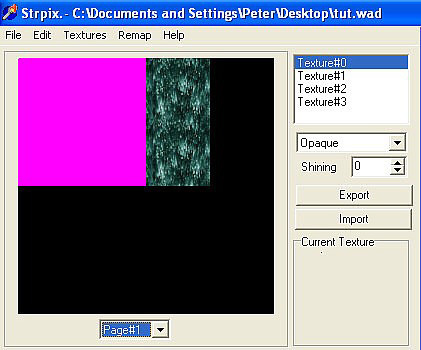 To eliminate the need for a graphics program such as Photoshop or similar, I have provided a resized texture below along with the magenta colour which is used as transparent on objects by the level editor. You'll see why this other texture is needed later. 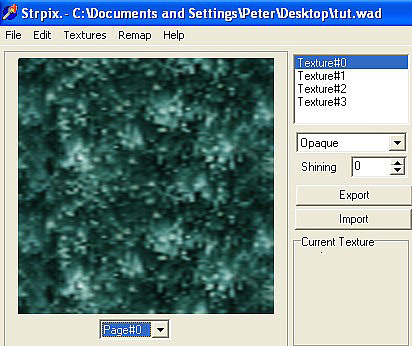 Unfortunately the free graphics programs gimp & Windows paint cannot be used to resize the texture. 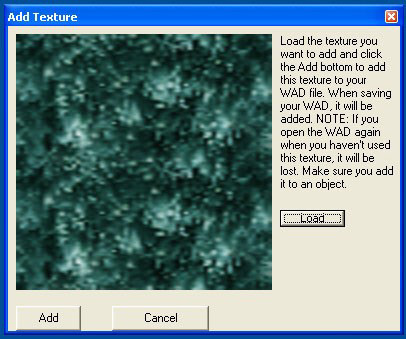 2. click the 'Load' button and browse to the location of the resized texture, select it and click the 'open' button. 3. click the 'Add' button. The reason for that transparent texture will now become clear. 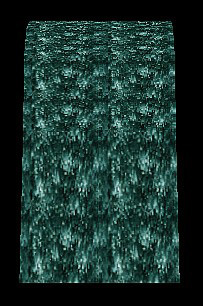 If we were to start to retexturing the waterfall, it's very difficult to know exactly where the new texture has been applied. In this screenshot only the left side has the new texture. 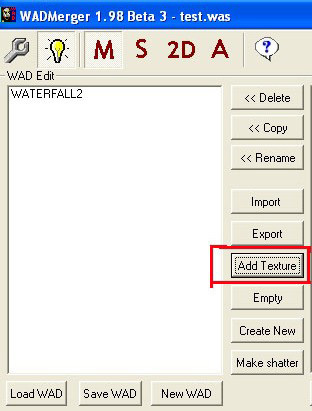 So first retexture the waterfall transparent and then texture it using the resized texture, making sure the semi-transparent option is selected. And remember to do both sides of the mesh rotating it as required. 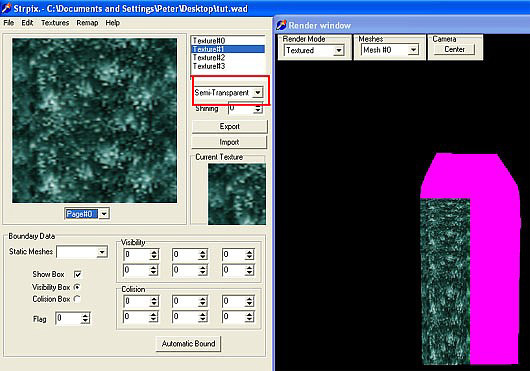 Don't worry about the texture orientation as they will automatically be correctly orientated when placed.